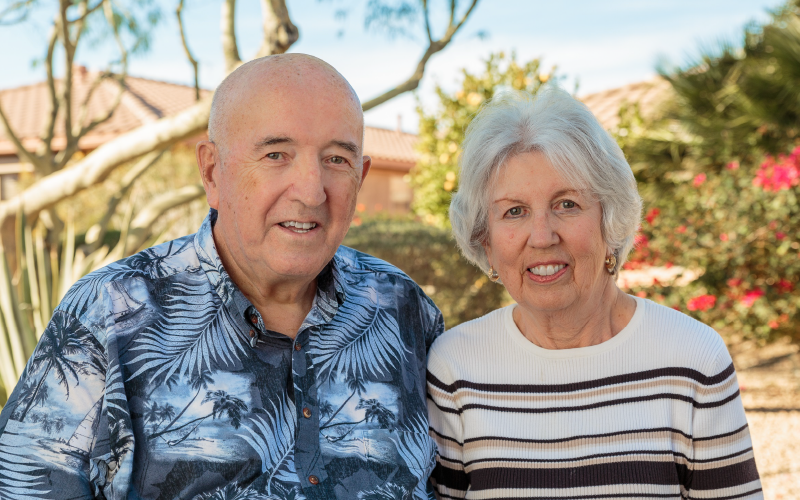 When Surprise resident Don Grover had open-heart surgery in January he and his wife Joyce realized they had questions they didn’t think to ask before leaving the hospital. The care Don received at Banner Boswell Medical Center in Sun City, during a nearly weeklong stay was excellent, but continuing his recovery at home came with uncertainty and anxiety. That is when nurse Krysta Roseberry and the team from Sun Health Care Transitions stepped to support the Grovers. Sun Health Care Transitions is an evidence-based program that focuses on helping patients to self-manage their health conditions and break the cycle of readmissions by assisting them during the critical period after they are discharged from the hospital. As part of this program, Care Transition team members will review patients’ medication regimens, educate them on their conditions, connect them with community resources and ensure timely physician follow-up care. The program has served thousands of patients to date, especially those with chronic conditions such as heart failure, chronic obstructive pulmonary disease and diabetes, which increases their risk for readmission. At first, Don and Joyce were apprehensive about the at-home visit with Krysta. “Our first question was, ‘Who is going to pay for this?’” Don says. Krysta quickly eased their minds and assured them that there were no out-of-pocket costs, as the expenses of the program were covered through a Medicare demonstration program and the generosity of donors to Sun Health Foundation. This was the first of many important topics Krysta discussed with the Grovers. For the couple, married 53 years, Krysta and other care transitions nurses were a saving grace. Joyce says that as soon as the team stepped in, things didn’t seem so scary and they knew they could count on support. Sun Health Care Transitions has served more than 11,000 patients since November 2011. The program has a hospital readmission rate of 7.81 percent, compared to the national Medicare average of 17.8 percent. Since the program began, Sun Health Care Transitions has saved $12.7 million in avoided costs due to decreased readmissions. Additionally, the Sun Health program’s success was featured at a Centers for Medicare and Medicaid Services Quality Conference in December 2016.